Home / News & Announcements / 2018-2019 Application is now open! 2018-2019 Application is now open! Our application for the 2018-2019 school year is now open! 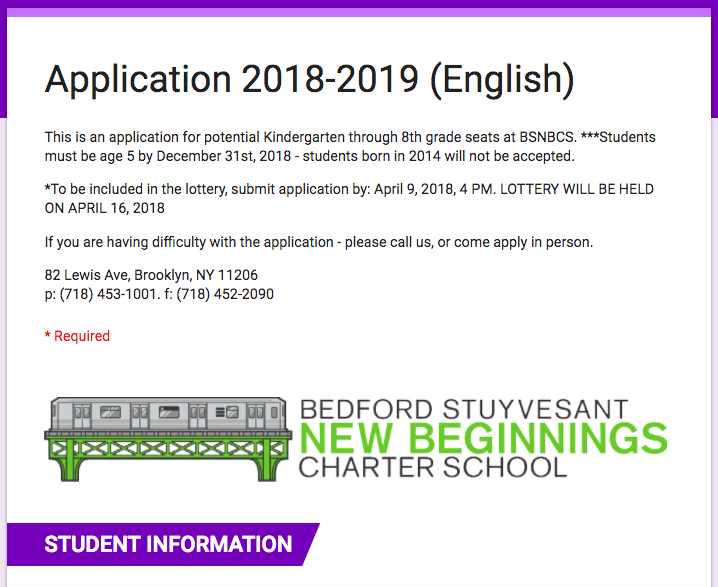 Click on the links below for English and Espanol online applications, or you can come apply in person at 82 Lewis Avenue, Brooklyn, NY 11206.